Learn how our LTL and full truckload expedited freight services provide reliable, on-time shipments. When fast delivery is not only preferred, but required, Expedited Transportation services are a must. Expedited Transportation provides a wide range of Expedited Transportation services to ensure your urgent deliveries are made on-time, every time. From “Less-Than-Truckload” (LTL) services to Expedited Trucking and more, our team of experts will assist you no matter how large your shipment or short your timeframe for delivery. Expedited Transportation provides comprehensive ground shipping services across North America. With Expedited LTL services, customers enjoy the benefits of both cost-efficiency and Direct Trucking. For deliveries that are time sensitive and “Less-Than-Truckload,” Expedited Transportation can get your shipment to its destination faster and more efficiently than traditional trucking services. Expedited LTL shipments typically weigh between 100 and 10,000 lbs. and are shipped directly to their destination without endless transfers through break-bulk stations. With far fewer transfers, total transit time and risk of damages are both significantly reduced. No matter the size of your shipment or where in North America it needs to go, Expedited Transportation has the transportation to accommodate your needs. From straight trucks both large and small to cargo vans, sprinter vans and tractor trailers, our wide range of trucking options allow us to make Expedited LTL shipments that are both prompt and cost-efficient. Partner with Expedited Transportation as your Expedited LTL provider and enjoy the benefits of our comprehensive logistics services. From expert customer support to tracking systems and Just-in-Time (JIT) services, we understand the importance of superior business intelligence. Expedited Trucking provides businesses with direct shipment capabilities, eliminating unnecessary stops and transfers, and ultimately reducing costs of potential damages and transit times. Expedited Transportation also provides tracking systems so you always know the location and ETA of your expedited shipments, as well as expert customer service where you can receive regular updates and constant communication regarding your shipments. In addition to comprehensive Expedited Trucking services, Expedited Transportation also provides Air Freight services for faster transnational shipments. Partner with Expedited Transportation and discover the benefits of prompt, reliable deliveries in North America and across the world. When time is a critical factor, companies need an expedited carrier they can trust to make deliveries on time, every time. With several expedited trucking and shipment services, Expedited Transportation can coordinate and ship deliveries large and small across North America while saving you time, money and headaches. 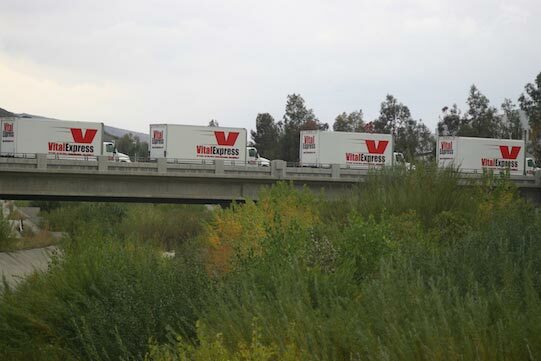 We accomplish this through Direct Trucking, Expedited Transportation and Expedited LTL services. 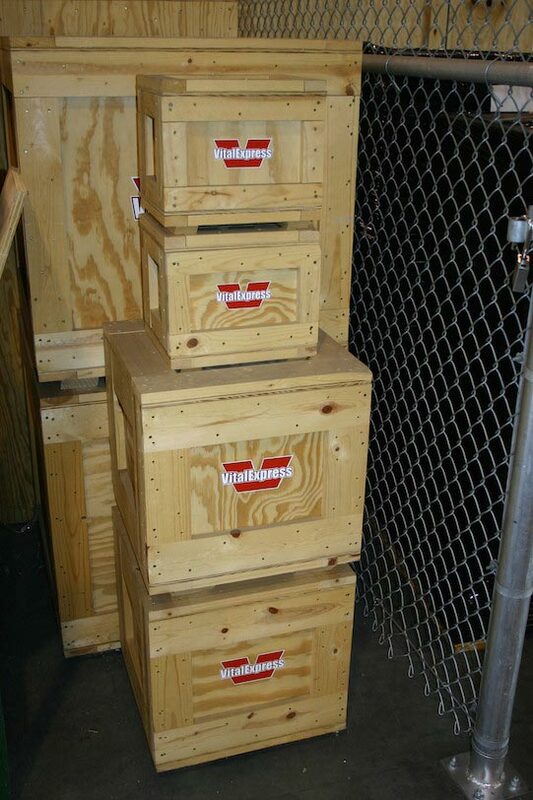 With LTL (Less-Than-Truckload) shipments, deliveries that are typically between 100 and 10,000 lbs. are shipped directly to their destination without unnecessary transfers. This not only speeds up deliveries, but it keeps your shipments safe through less handling. These deliveries can also be combined with other shipments to maximize efficiency and reduce costs. Whether you are in need of local deliveries, long distance or air freight, Expedited Transportation is the expedited carrier you can count on. For shipments to different continents or cross country deliveries, companies can also take advantage of Expedited Transportation’s Air Freight Charter services. We coordinate the carriers and shipments for you, while you plan for delivery using our tracking systems. With so many advantages at your disposal,Expedited Transportation is the expedited carrier with the experience and service to bring your logistics to the next level. In a business that relies on regular, on-time shipments, there is no ally more important than a reliable partner in Expedited Shipping. 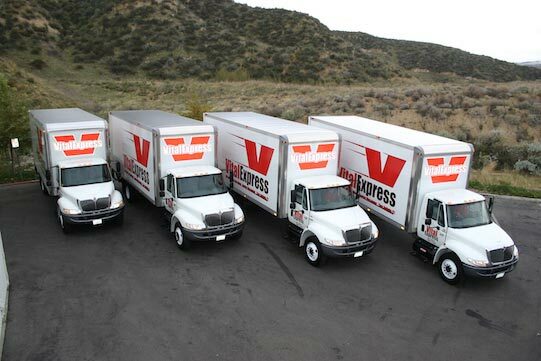 For fast, prompt deliveries, trust the experienced professionals at Expedited Transportation. Our proven Expedited Shipping services have helped companies large and small, of all industries, improve their logistics and bottom lines. Part of the Expedited Transportation service advantages is our flexibility. Whether you have a Full Truckload shipment or a single pallet that simply requires a local delivery by cargo van, we’ve got you covered. We work with a long list of carriers to ensure we match your Expedited Shipping needs with the most efficient method of transport. In addition to Full Truckload, Expedited Transportation also offers Same Day Trucking and Expedited LTL (Less-Than-Truckload) services. These capabilities add additional options for shipments on a time-sensitive schedule. As a leader in Expedited Shipping, Expedited Transportation's wide-ranging services aren’t limited to the ground. For long distance shipments that are on a tight schedule, there is no substitute for air delivery. Expedited Transportation offers Air Freight and Air Charter services to ensure there is always a fast, efficient route to your shipment’s destination.